Home > Eye Treatments > What is Laser Eye Surgery? Laser eye surgery is a procedure which will permanently correct a person’s sight. There are several types of laser treatment which correct refractive error. These include Photorefractive Keratectomy (PRK), Photoastigmatic Refractive Keratectomy (PARK) and Laser Assisted In Situ Keratomileusis (LASIK). Lasers emit ultraviolet light (radiation) which is absorbed by the surface of the cornea and removes very small amounts of tissue from the front of the cornea. This alters the shape of the cornea which changes the eye’s ability to focus, correcting the vision. Photorefractive Keratectomy (PRK) involves beaming the laser directly to the surface of the cornea after the layer of surface cells has been removed. This technique is widely used to correct short-sightedness. Photoastigmatic Refractive Keratectomy (PARK) is similar to PRK except the pattern of tissue removed from the cornea is altered to correct astigmatism as well as short-sightedness. Laser Assisted In Situ Keratomileusis (LASIK) combines a surgical technique which creates a thin, hinged surface flap of cornea which is gently moved aside before the laser is applied to the deeper layers of the cornea. The flap is repositioned afterwards. This treatment can correct short-sightedness, long-sightedness and astigmatism. Which Conditions Cannot be Treated? Laser surgery cannot treat age-related presbyopia and the need for reading glasses which usually affects people in their mid-40s. Many people will continue to need glasses for some activities. One in three people who have had surgery use glasses for some purposes such as night driving. Laser treatment is not available on the NHS because poor vision is not a life-threatening condition. Costs will vary around the country but on average private treatment will cost around £1,000 - £1,500 per eye. Always check exactly what is included in the price. Generally one eye is done at a time to reduce the risk of cross contamination if complications arise. It is possible to have LASIK treatment on both eyes on the same day but your ophthalmologist will advise you of the risks. Now that laser eye surgery is more common, the risk of complications are reducing, and many people with sight problems believe the benefits out weigh the risk. It must be remembered that any type of surgery will present a risk of some level, however there are a few steps you can take to minimise the risk. Find out the surgeon’s success rate. 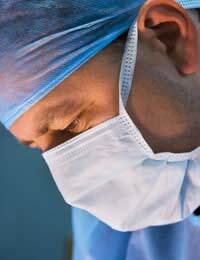 In general the more operations a surgeon has performed the higher the success rate. In some cases after the surgery a persons sight may not be as good as when they were wearing glasses. The difference may be minor but check what results the surgeon has had. It is also worth checking how many patients have had to return for further treatment. Find out how frequently the surgeon has experienced complications and the reason for them. According to the Royal College of Ophthalmologists, complications occur in less than 5% of cases. Some people find they suffer from dry eye after laser treatment. If this problem persist artificial tear supplements might be needed. Some people experience a glare or halo effects when driving at night time after treatment. This is more likely to occur in cases when a high level or sight correction is needed but this is not usually a severe occurrence. Other complications could include thinning of the eye wall which can cause the shape of the eye to be unstable. Severe loss of vision is very rare but there have been cases where patients have required further surgery on the cornea or had to wear hard lenses to restore their sight.